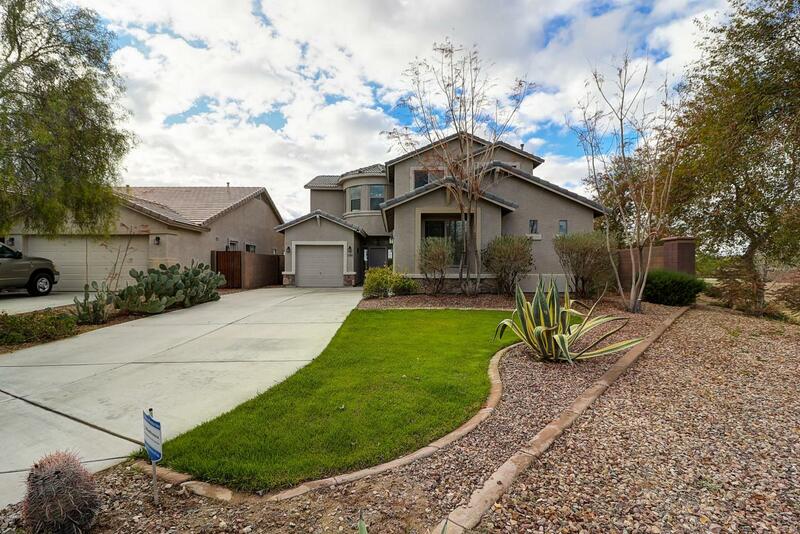 Welcome home to your Beautiful 4 bedroom 3 bath 3 car garage home. 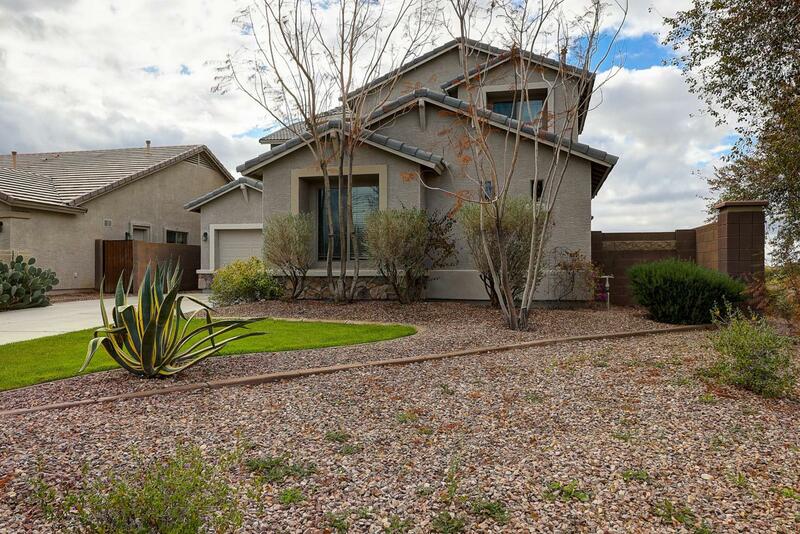 This home is located in the wonderful community of Tartesso. 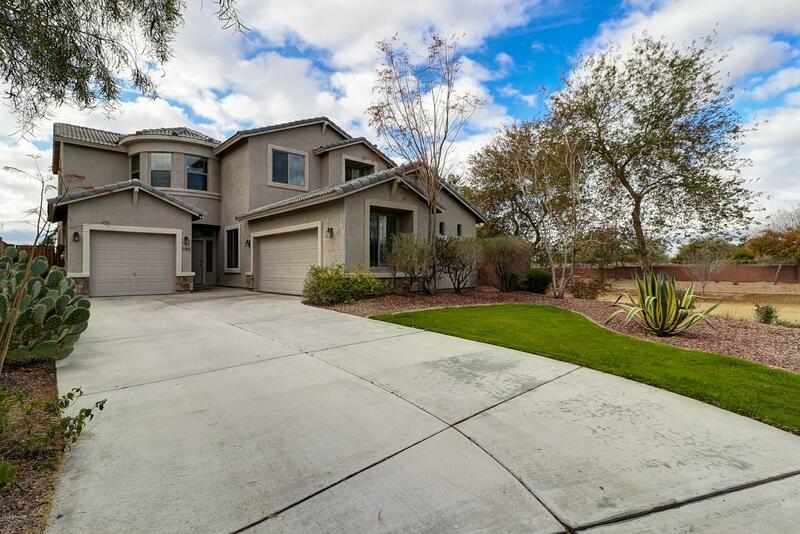 Situated at the end of a cul-de-sac, across from a park.Upon entering the home you walk into a large living room where you are welcomed by an extraordinary view of your gorgeous backyard which includes a heated pool, waterfall, citrus trees and a large covered paved patio. The kitchen offers a large walk-in pantry, gas stove and looks into the family room. Also Downstairs is a large laundry room and good sized bedroom across from a full bathroom. 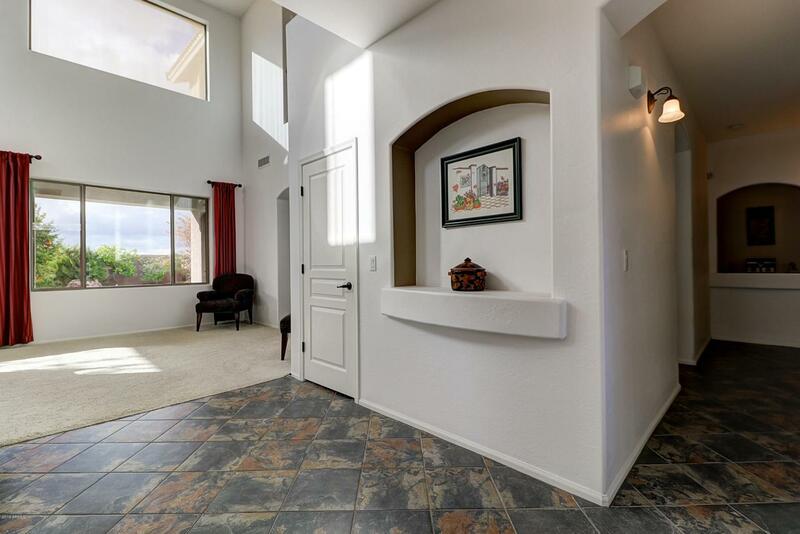 There is a gorgeous wrought iron staircase that leads you upstairs to a sitting area loft and the other 3 bedrooms. The master comes with a Huge Balcony overlooking the desert. So many features, come see for yourself.